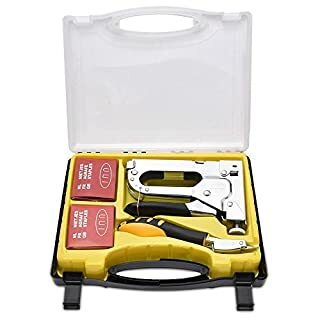 AECCN brings you professional tools for building & construction. 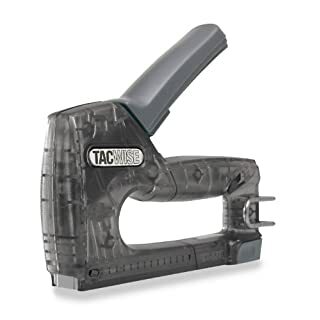 This purpose stapling gun is great for securing insulation plastic sheeting, carpets, and other fastening applications. All steel casing and mechanics. 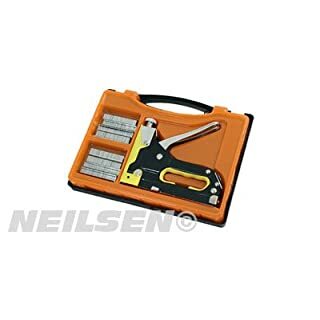 are professional products as well as devoted renovation, repair, DIY and hobby work at home. 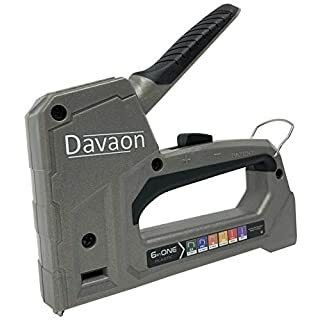 High quality products you can rely on. 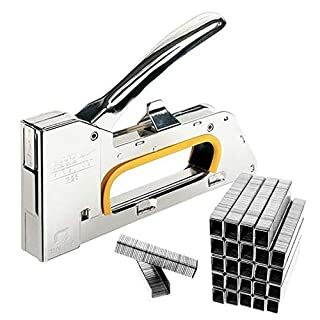 Material: Chrome steel Product Weight: 1.21lb Product Size: 7.48 x 6.38 x 1.1 inches Package Include: 1 x Staple Gun 400 x Door-type Staples 400 x T-type Staples 200 x U-type Staples NOTE: * Never aim the staple gun at any person, child or animal. 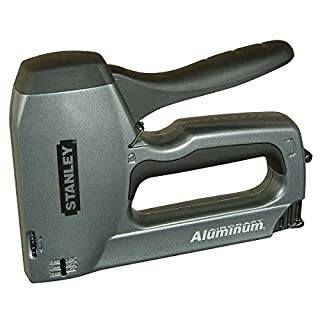 * Keep there is no staples in the gun, when you don't use it. 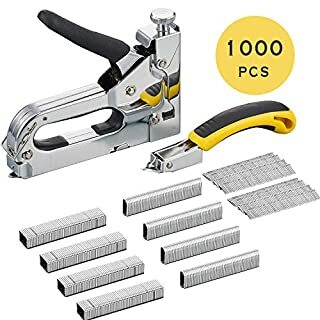 * Please put the staple gun where children can't get them. 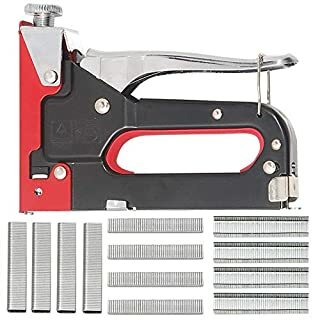 Device for saving work The power- and time-saving, power-adjustable button design makes this stapler a lightweight tacker suitable for door, U and T staples. 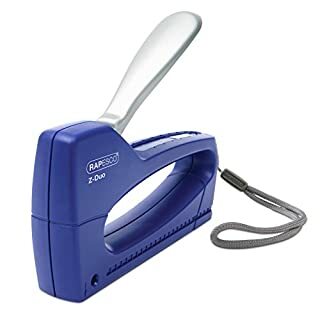 You can freely adjust the force according to the different binding materials to reduce the fatigue of the hands. Less effort and more driving power. 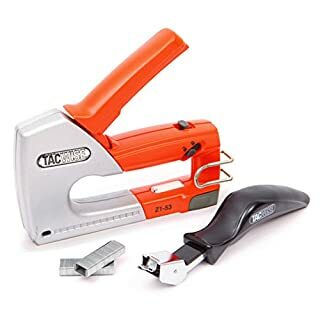 Push the end clip forward and down to release the staple channel. 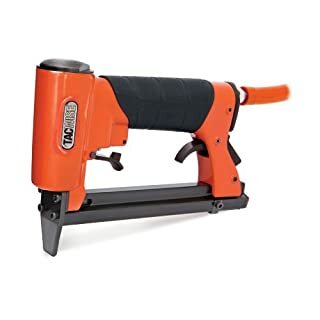 The nail puller is designed to quickly remove staples in seconds. 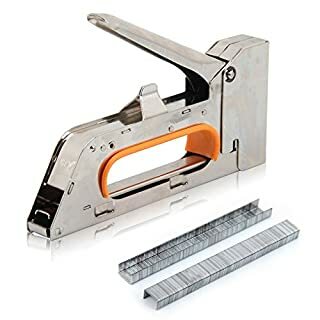 Perfect as a stapler, nailer, cable and wire stapler. Product properties: ★ heavy duty die-cast aluminum housing for a long life. 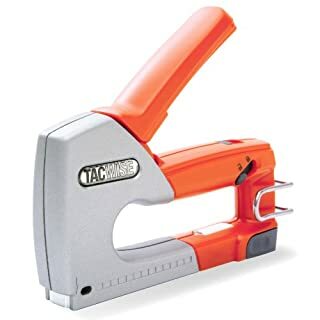 ★ The easy-to-use staple gun works as a staple gun, nailer, cable tacker and wire stapler. ★ 3-in-1 design for 3 different shapes. 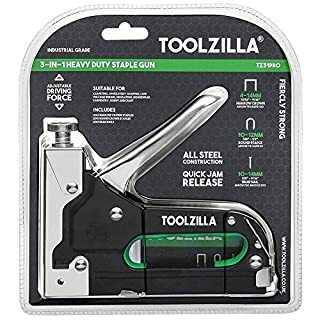 ★ Steel handle with molded rubber handle for more comfort. ★ all-metal drive channel provides better penetration. 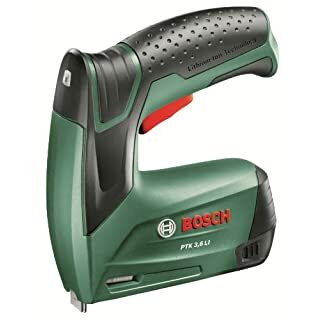 Less effort and more driving power. 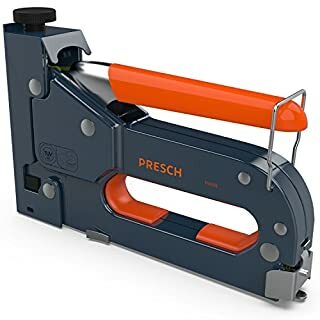 ★ The flush-nose design solves the problem of stapling in hard-to-reach places. 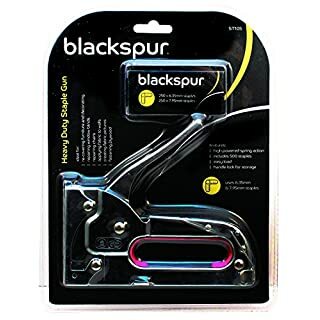 ★ Locking handle for safe storage. 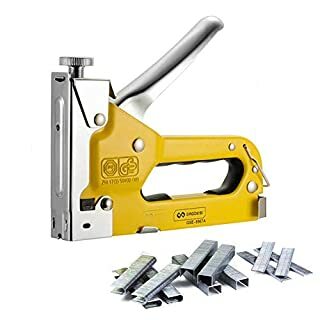 ★ Easy to load or remove the brackets. 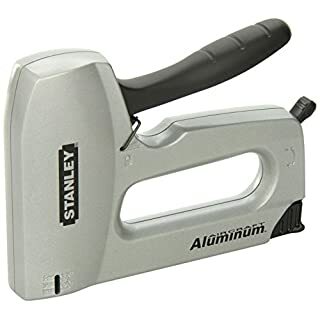 Scope of delivery: 1x staple 200x door-type staples 200x U-staples 200x T-staples Note: ☞ Never aim at persons, children or animals with the tacker. 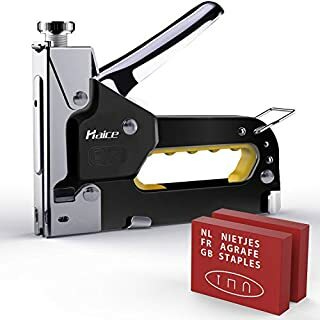 ☞ Note that there are no staples in the stapler when it is not in use.☞ Please check picture 5 for how to put staples in.